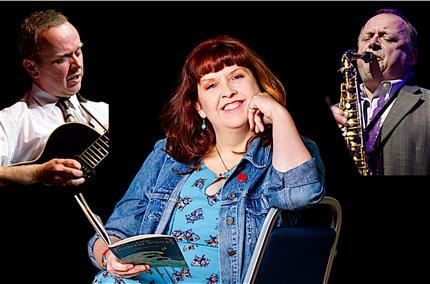 Following the outstanding success of the acclaimed Fish Tales comes Requiem, an exciting and ambitious jazz and poetry commission by Grimsby Jazz Projects, with support from Arts Council England. The combination of jazz and poetry has a long history. In addition to verses being put to music, there is also a tradition of jazz suites, in which jazz and poetry are complementary. For example, the late British pianist Stan Tracey's Under Milk Wood and The Poets' Suite. Bringing together the dynamic compositional talents of multi-award winning reedsman Alan Barnes, guitarist Pat McCarthy and the creative imagination of poet Josie Moon, Requiem commemorates the end of the First World War and subsequent conflicts across a century. Featuring a stellar line-up of international jazz musicians, Requiem examines the impact of conflict on individuals across a century. An audacious, daring challenging, moving, but ultimately uplifting and soulful work, it invites the audience to both remember the history of conflict, and resolve to do better in the future. Alan Barnes is a prolific international performer, composer, arranger, bandleader and touring soloist. Best known for his work on clarinet, alto and baritone sax, he combines a formidable virtuosity with a musical expression and collaborative spirit that has few peers. Pat McCarthy is regarded as one of the country's leading jazz guitar players, and also an outstanding composer and educator. He has led his own bands, and played and recorded with some of the top names in the jazz world. Author, poet, composer, musician and singer, the very talented Josie Moon brings as much to the reading of her work as to the writing of it. Her poetry brings to life and complements the music of Requiem. Alan Barnes, Gilad Atzmon, Dean Masser (Saxophones), Mark Nightingale (Trombone), Neil Yates (Trumpet), Pat McCarthy (Guitar), Dave Green (Double Bass), Sebastiaan De Krom (Drums).